Ryan’s enthusiasm and perspective will keep your attention and inspire you. Love this and will listen again multiple times. Serhant Needs to Put Out More Books! Finished the book in two days! I didn’t want to get out of my car. Serhant is very funny and offers great advice. Hope he puts out more content. 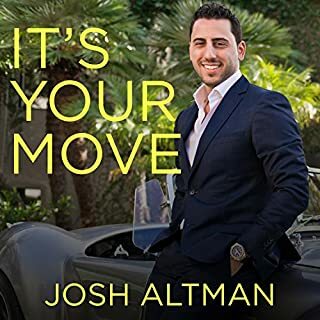 Get this if you need want to get solid advice on moving your life forward. 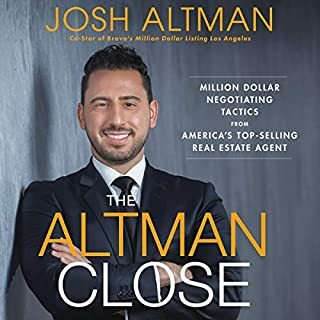 If you like Ryan Serhant's vlogs and Million Dollar Listing NYC you will love this book! I love how he also explains the way he structures his day, very helpful for young entrepreneurs. It's also very cool that he's the one narrating the book. Well done! 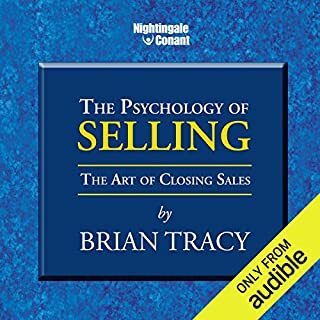 overall great tips for sales. Aspiring salesperson or not, Sell It Like Serhant is an unbelievable read. 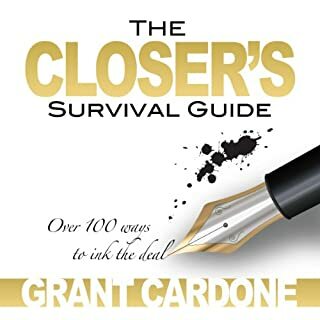 The information Ryan is so kind to share applies not only to the life of someone who works in sales, but also to anyone with a hunger for more success. Would recommend to anyone looking to improve their mindset in their chase towards a successful career and a happy life. 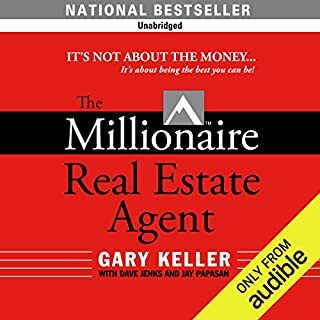 if you like Ryan Serhant or follow him on social media, YouTube, million dollar listing new york you will like this book. he gives good insight into his business and life. 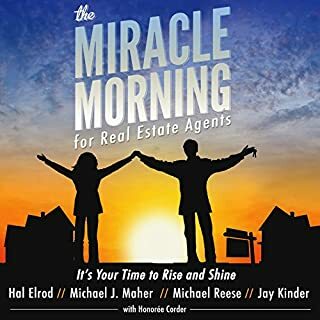 good stories that any real estate broker can relate to. I am a top performing Realtor and Broker Owner of a Boutique real estate company in Massachusetts. I am in constant pursuit of maximizing my potential and the potential of my team. 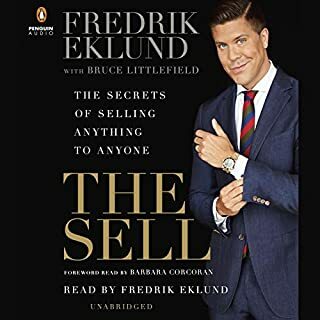 I read many books as a result and this is by far the most motivating, uplifting and well written sales book I’ve had the pleasure to read. I enjoyed every single chapter. I listened on audible and Ryan was also funny and engaging. I have since purchased this book for everyone on our team. I play clips to get people motivated and fired up at the start of our weekly meetings and we are all now enjoying the book as a company. Thank you for sharing you knowledge with us. You have reminded us here how blessed we are to be in sales- the most exciting of all professions and you have encouraged everyone in our company to live their best lives by always striving to maximize their potential. What an incredible message to share with the world. Time to write another now! It’s an enjoyable listen. His frank and honest storytelling offers valuable insight into triumphing over adversity and mistakes. His humble funny manner makes it very easy to relate to. Reminds me of Tim Ferris The 4 hour work week. great presentation, high energy, and inspiring. 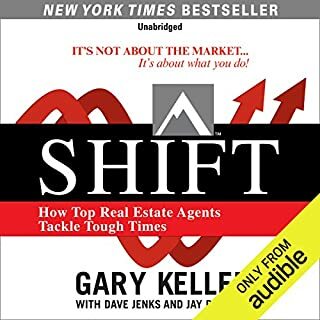 but not all that useful as an actual giude to how to manage the sales process, unless you are specifically selling overpriced real estate to neurotic New Yorkers. I have never finished reading a book from cover to cover, nor have I ever finished listening to an audio book. 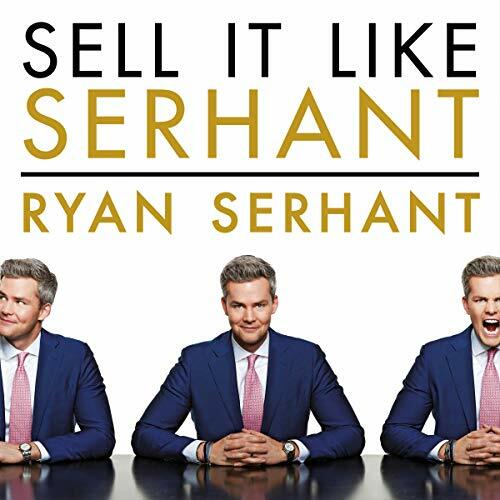 But I owe it to Ryan to put myself out there and let everyone know, I just finished listening to "Sell it Like Serhant" in 2 days! Ryan's humor is hilarious to me and I could relate to him on many levels. 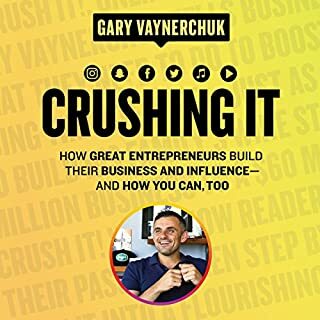 This book inspired me to get myself motivated again and gave me some great tips on initiating things in order to fill my pipeline. 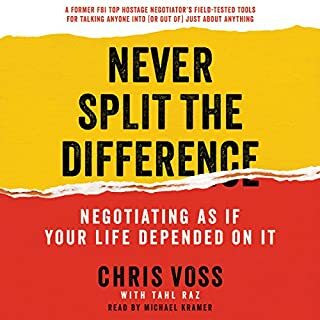 I truly felt like I was sitting in a room with my best friend chatting about how to keep myself motivated and understanding that deals will fall apart, but that doesn't mean I have to. 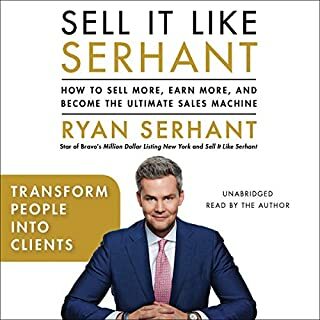 Thank you thank you thank you Ryan Serhant. I hope to meet you face to face so I can tell you my success story that was inspired by you! Because I WILL have that story to tell. This is a super entertaining and inspiring book. 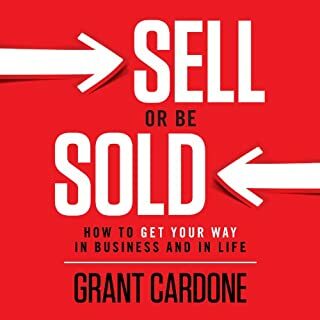 I highly recommend it to anyone on sales, whether you are just starting or have been in business forever! Ryan the Lion. I absolutely enjoyed listening to your fun stories, timeline of your growth, tips for developing, and the hilarious references. Your tips are empowering for more than sales. I hope you get another chance to “dance with toddlers!” I appreciate you and thanks for your inspiration. I found Ryan through YouTube because I don't watch tv. I already enjoyed his fun personality through the vlog. 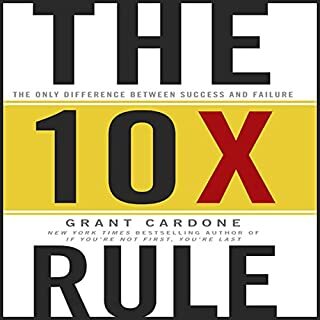 So after watching his interview with Grant Cardone I figured I would pick up the book. The audio was well done and Ryan did very well using tonality and inflection to really drive certain points home. The actual content was largely what you find in other business books. But the other 10% is gold and I will be going back over those chapters. 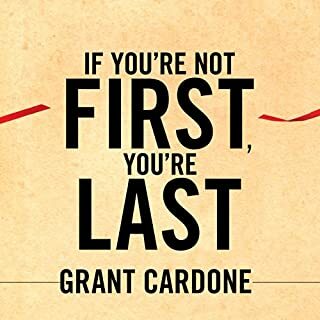 If you're a business person or in sales (at any seniority level) you must get this book. Deezam! One helluva 1st book sir!!! Damn @RyanSerhant ! what a FANTASTIC book and job narrating. Your delivery and humor kept it very intriguing and the content was great. can't wait for the next book: "Ready, Set - GO!!!" Informative and Entertaining in true Serhant style! If you are a Serhant fan you will love the delivery of the audible version of his book. If you don’t know much about him you will come to like his enthusiasm, hard work ethic and humor! It’s Informative, educational and highly entertaining. 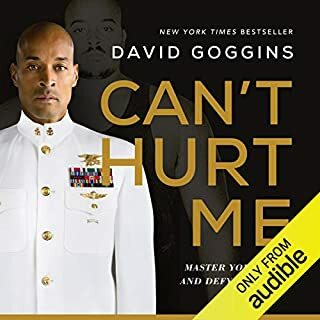 He describes his beginnings as a struggling actor to the success he is today from his disciplines and aha moments to his extreme discipline and work ethic in life, work and leadership. Serhant if you read this, well done, thanks for sharing your life, knowledge and story so openly you are the consummate Professional, goof ball, PR and Marketing dynamo all rolled up in one! Wish you and much continued success Sir! Epic book! So good I listened to it in one day. There are so many good takeaways but I think the biggest one for me is that one needs to take action and not be afraid of failure. Meeting 3 new people a day will be my new mission. Thank you Ryan for writing this amazing book! Ryan is funny, precise and always interesting to listen to. 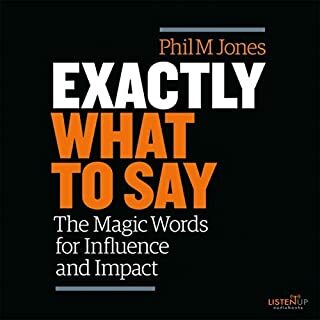 You will consume this audio book in a few days. 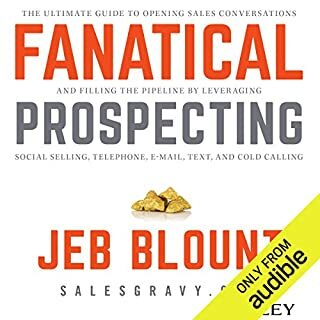 This won't be the most precise or mindblowing book on sales you will read, especially if you are in bmB2B sales. But Ryan's story remind you of the invaluable basics so you remember them.